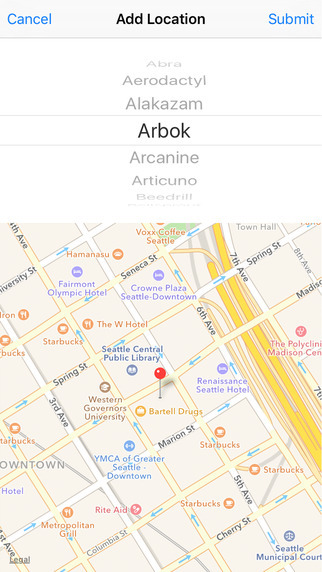 If you're trying to find a specific Pokemon's location, you can quickly use the “Filter” feature to find the nearest one. – Remove your own pins. – Earlier iOS version support (iOS 8+). Poke Radar for Pokemon GO is in no way affiliate with or endorsed by the Pokemon brand, Niantic or Nintendo. This app has been built by fans, for fans who love the Pokemon GO game and wanted to create this separate assistant app to support it's community. I have been playing Pokmon go for several days and have tried a variety of locator apps. This one has the most thorough coverage as well as customer support. I enjoy the ups vote down vote system that is in place to help filter out spam. By far my favorite feature of this app is the filter feature. This allows you to sort for the specific Pokmon you are looking for from a local to global scale all with in one window on the app.